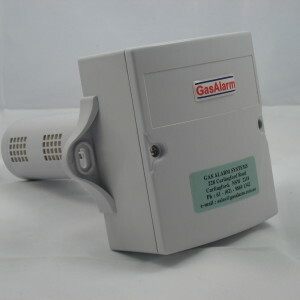 Gas Alarm Systems – India (http://www.alviautomation.com) in association with Gas Alarm Systems – Australia (http://www.gasalarm.co.au) offer GAS-CO2-002-K Carbon Dioxide Duct Probe Transmitter. Carbon Dioxide Duct Probe Transmitter series designed to be installed in HVAC return air ducts. 1 x analog outputs for CO2 measurement (0-2000 ppm). Built for standard output of 4-20 mA / 2-10V analog signal output, this transmitter is compatible with the PolyGard Series controllers the MGC/DGC as well as any other electronic control or automation system.